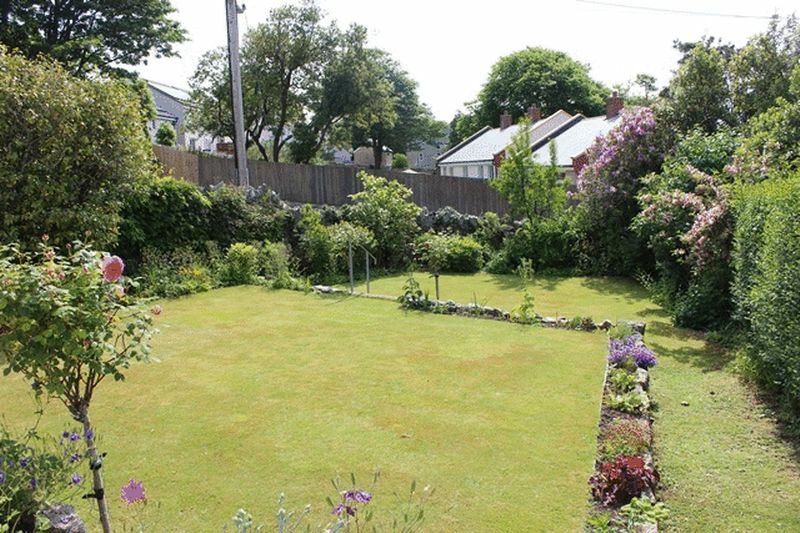 This is a three/four bedroom detached house in a sought after private residential location offering spacious family size accommodation, good sized gardens and ample parking with double garage. 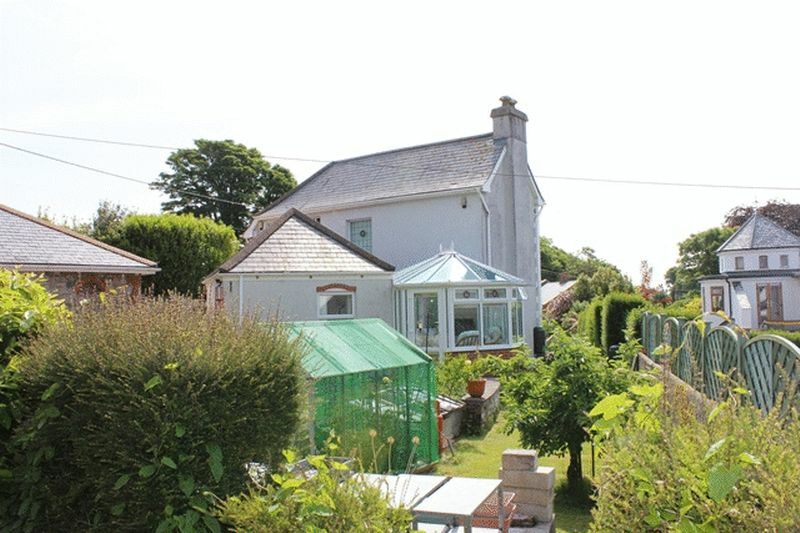 The property has recently had some improvements with the addition of a conservatory which enjoys the garden outlook, refitted kitchen and refitted shower room. 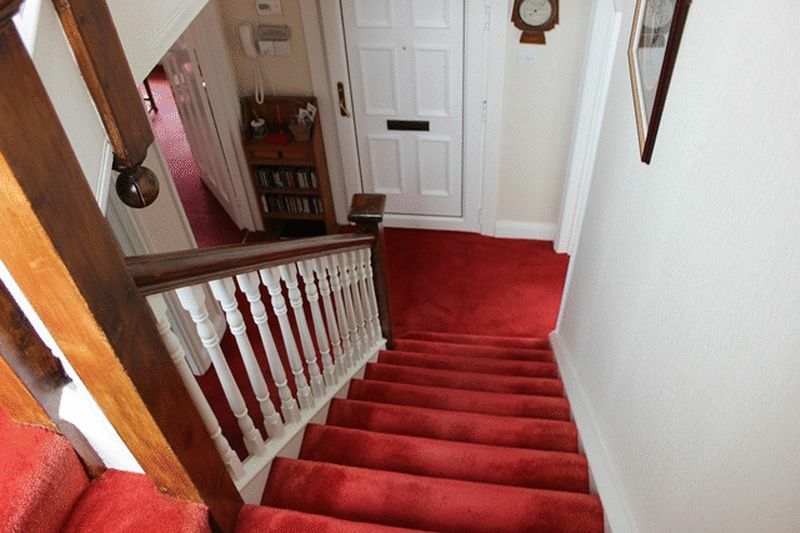 In brief the accommodation comprises of entrance porch, hallway, dining room, study/fourth bedroom, kitchen, bathroom, lounge with beam ceiling features and conservatory. 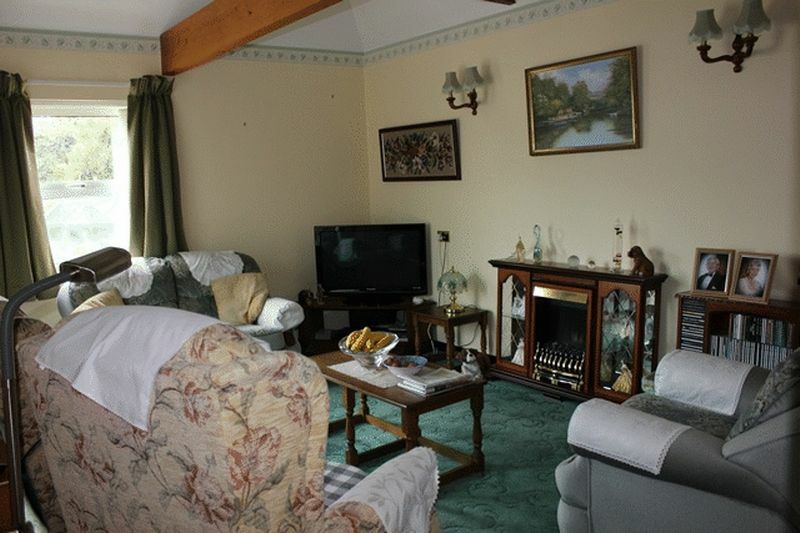 To the first floor there are three bedrooms, two main bedrooms enjoying the front garden outlook and shower room. Gardens are a particular feature to this property extending to both front and rear where to the front there is a terraced well stocked lawn and flowerbed garden with brick pavior hard standing parking, gardens continue to side leading around to the rear where again there is a good size lawn garden, beyond this is also an enclosed good size vegetable plot or could be further garden if required. Further brick pavior/driveway parking and double garage. 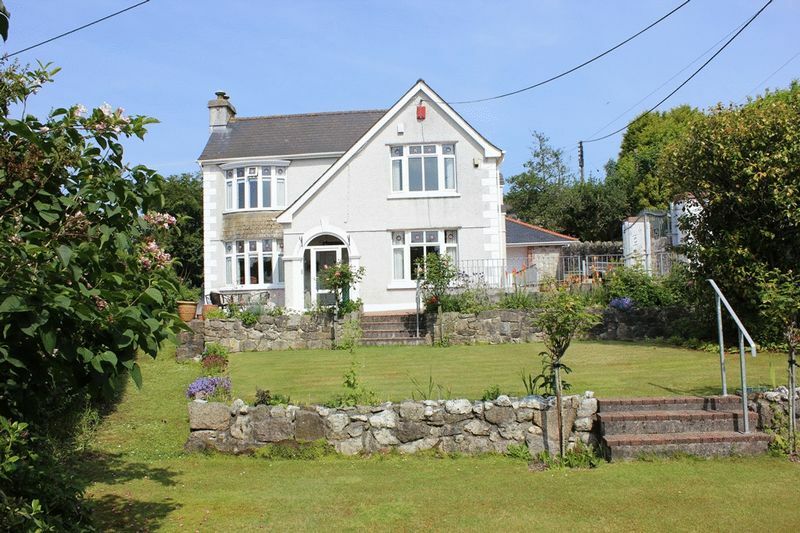 The property is set within one of St Austell's most sought after private residential locations, secluded gardens and numerous mature trees in the immediate surrounds, give a very much rural parkland feel, and yet the property is in fact within the immediate town surrounds, literally being within a few minutes walk from the main town centre and all amenities. 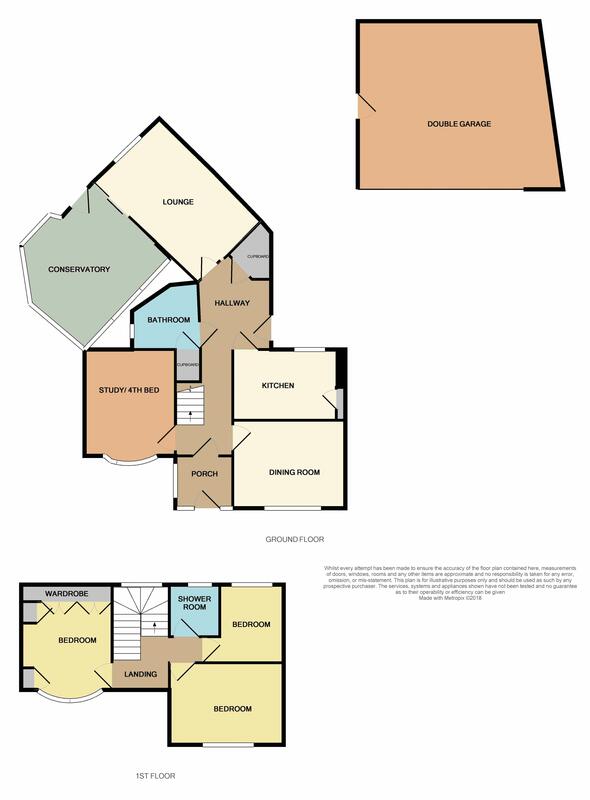 With the property's appealing elevations, setting and accommodation it is anticipated to appeal to a good number of people and appointments to appraise internally are most strongly advised. Glazed door and side screen leading to entrance porch. 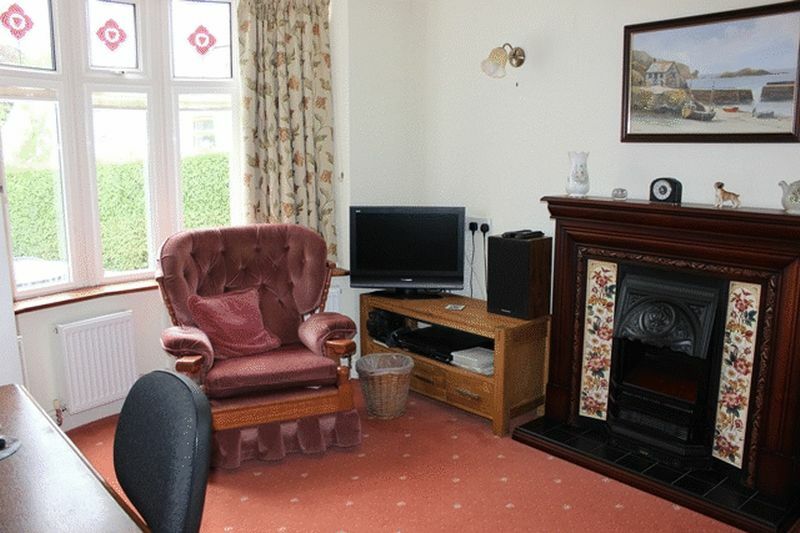 Good immediate reception area with window to side, radiator and door to hallway. 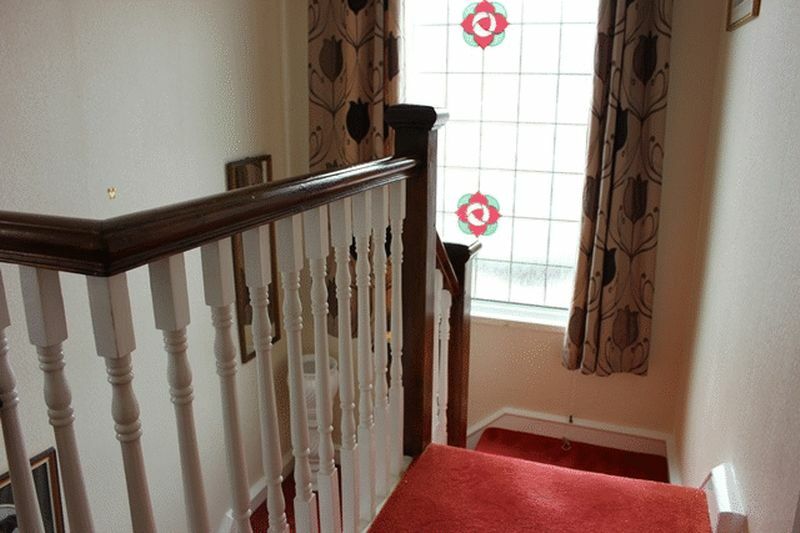 Delightful reception area with timber balustrade turning and leading to first floor, door to study/fourth bedroom, door to dining room, door to kitchen, hallway continuing to inner hallway with pedestrian door to side leading to the driveway/hard standing parking, door to bathroom, door to lounge which in turn leads through to conservatory and door to recessed storage cupboard. 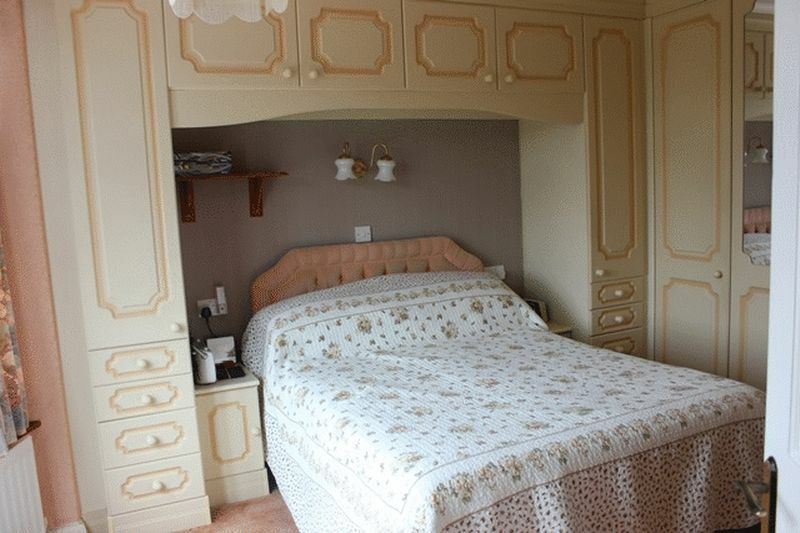 plus curved bay window feature, three small radiators, TV aerial point and telephone point. 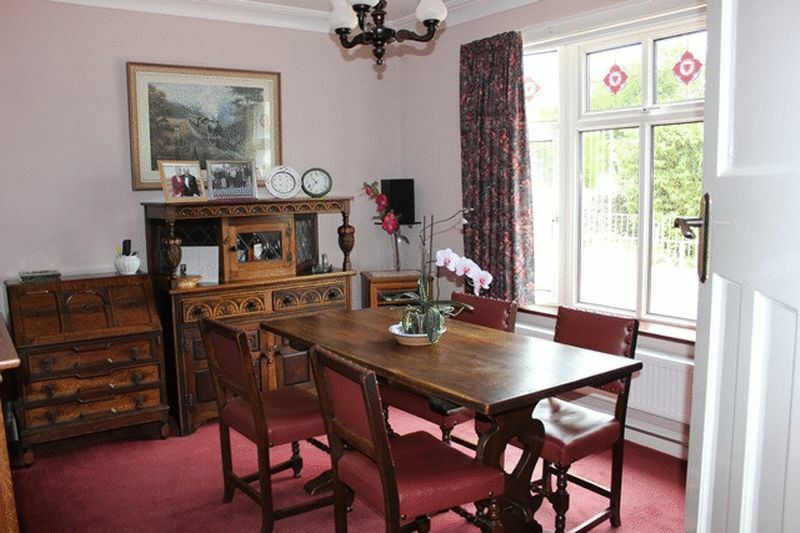 Excellent separate dining room with window to front and radiator. plus door to recessed airing cupboard. 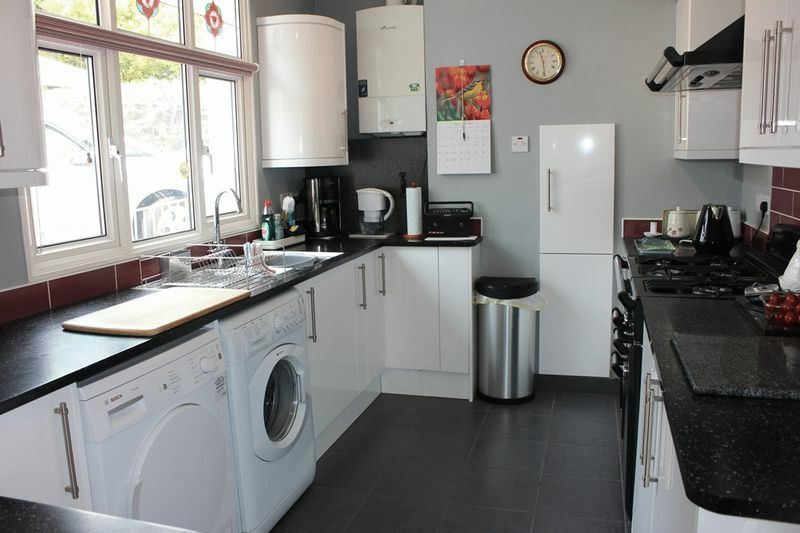 Recently refitted with a modern range of white fronted base and wall units providing cupboard and drawer storage, working surface over housing inset sink unit with part tiled walling adjacent, large Range Master cooker, space and plumbing for washing machine and two further appliance spaces. Wall mounted Worcester boiler, radiator and window to rear. 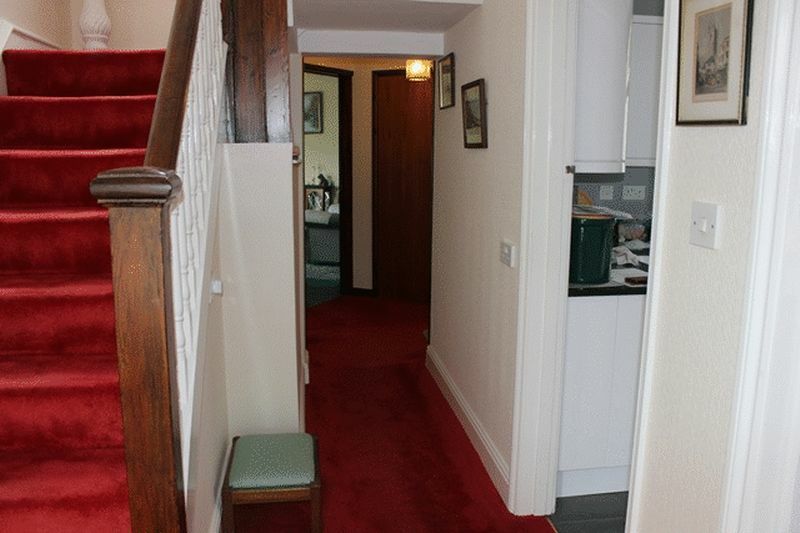 maximum, irregular shaped room plus door to under stairs storage cupboard. 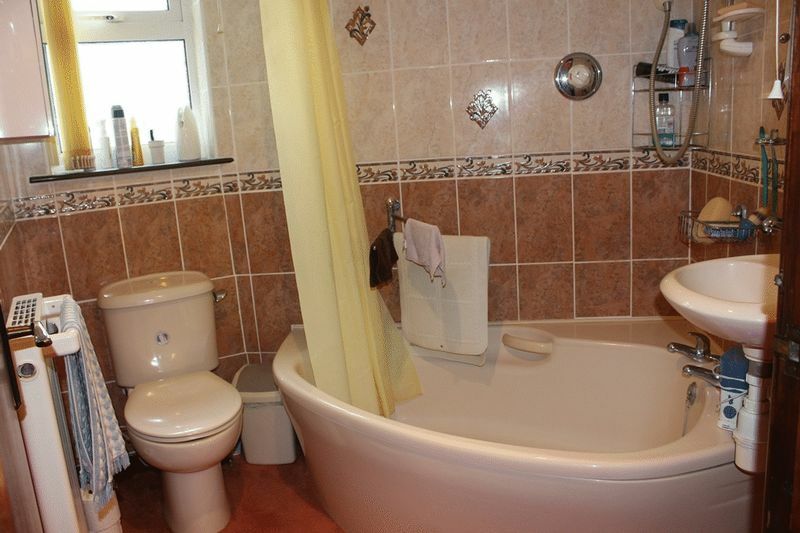 Suite comprising wash basin, corner panelled bath, close coupled W.C, radiator and extractor fan. Fully tiled walls and patterned glazed window to side. 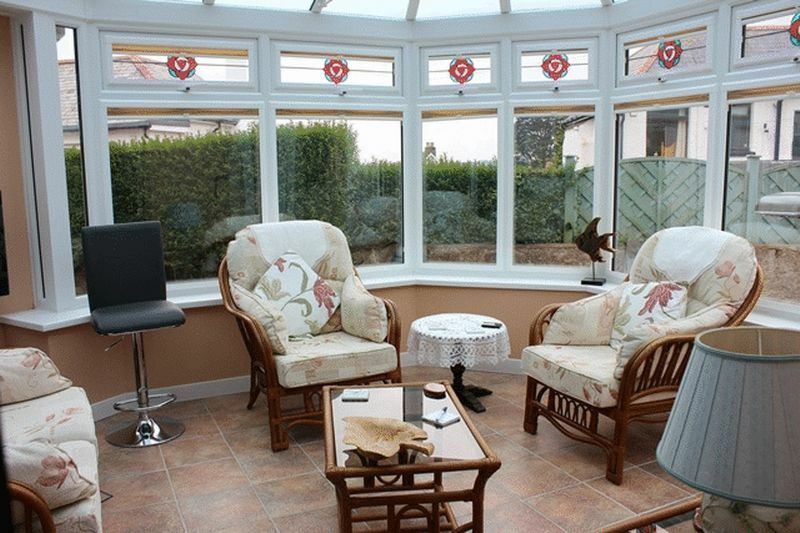 Beam ceiling features, radiator, window to side and sliding patio door to conservatory. 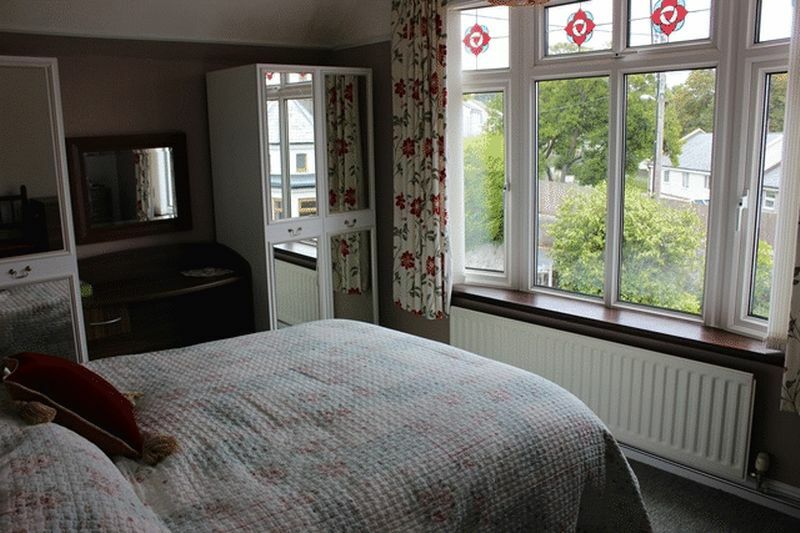 Recent addition to provide a delightful room enjoying a garden outlook with tiled flooring, windows to side and rear, pedestrian door to rear. Turning staircase with feature stain glass window to rear. Doors off to all three bedrooms and shower room and door to storage cupboard within eaves roof space. Radiator. 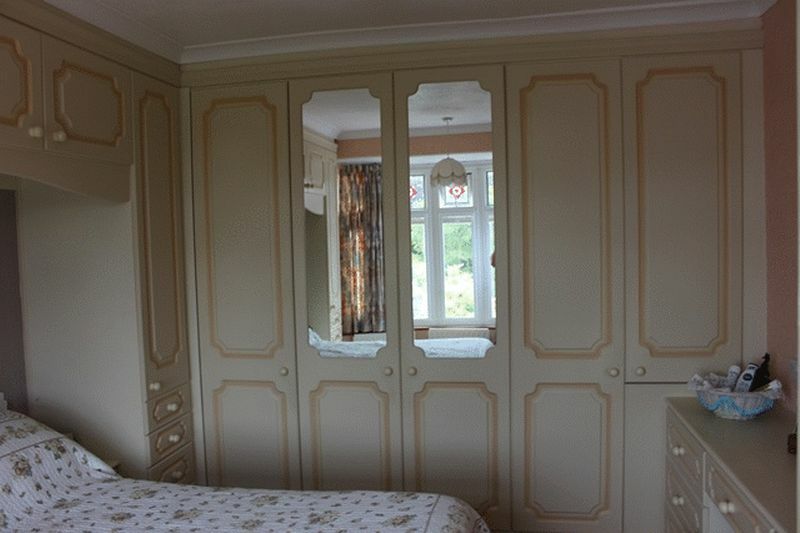 plus doors to built in wardrobes providing a vast range of storage, curved bay window feature to front enjoying garden outlook. Three small radiators and TV aerial point. Radiator and window to front enjoying garden outlook. 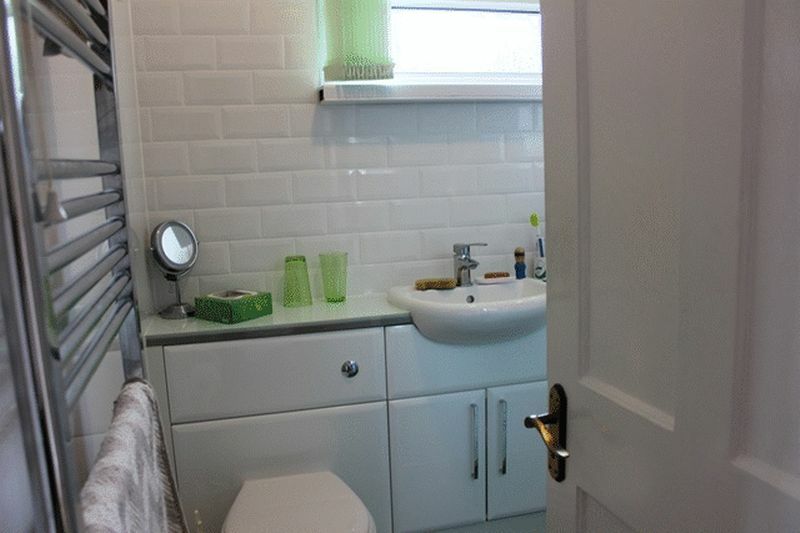 Recently refitted with a white suite comprising corner shower cubicle with electric Mira shower, concealed W.C and wash basin with vanity storage under. Patterned glazed window to rear, extractor fan and light with built in shaver socket. Part tiled and part clad walls. 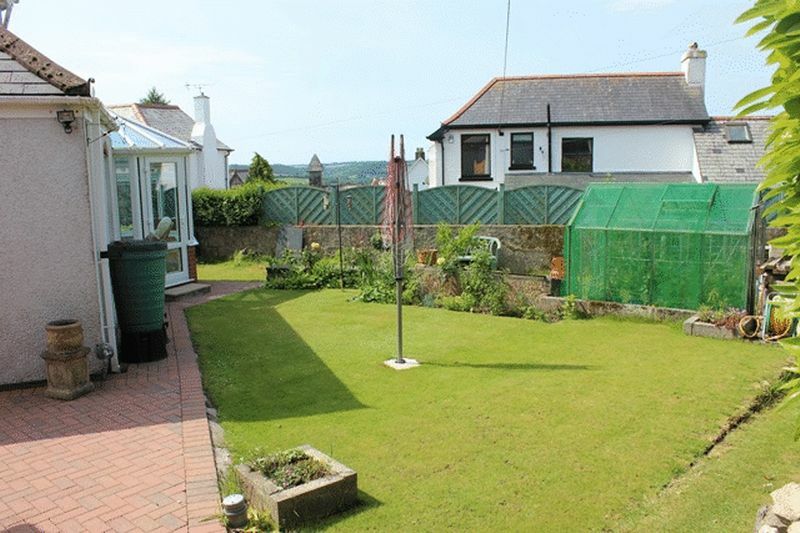 The property has two vehicular approches, the front is electric gates leading to a brick paved hard standing parking area, this gains access to the front entrance and also has steps leading down to the front garden which is terraced with good expanses of lawn and well stocked flowerbed borders to boundaries. 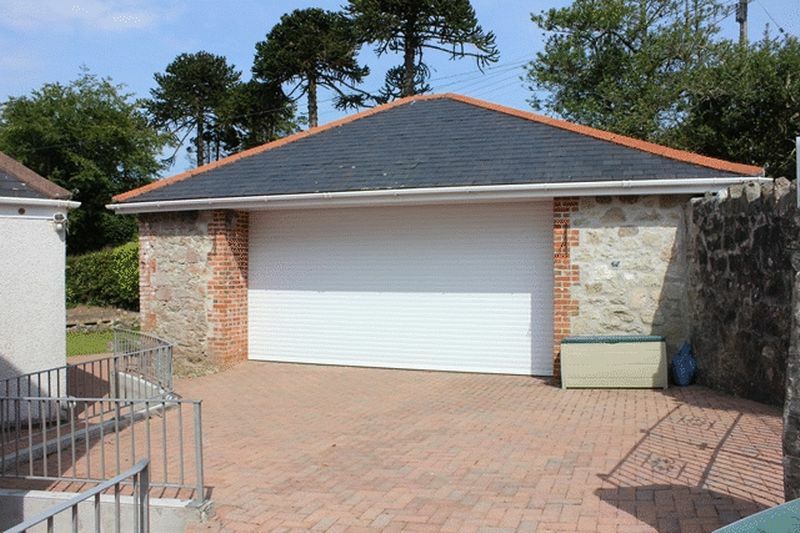 The other entrance also has iron gates with brick paved hard standing parking area, this leads to the double garage which measures 23'10" x 19'6" maximum with pedestrian door to side, light and power connected with also wash basin and tiled splash back. Pitched roof for storage and electric up and over door. 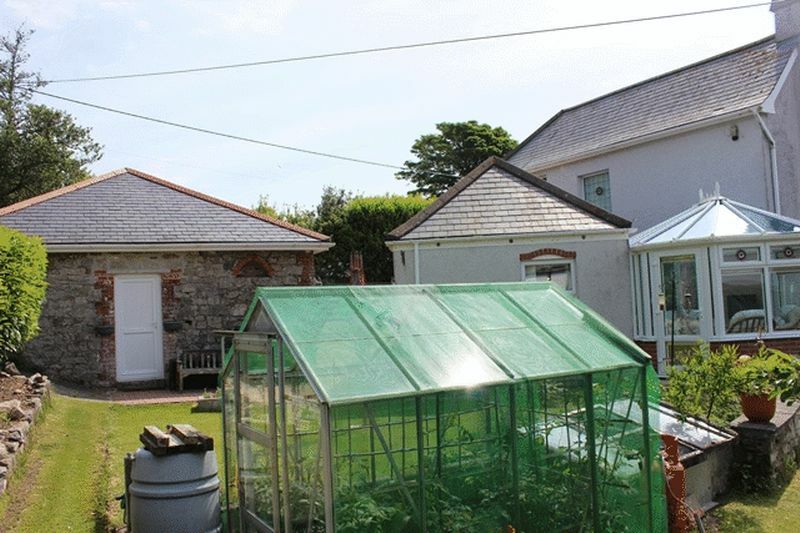 To the side of the garage there is a pathway leading to good expanse of lawn with greenhouse and pathway continuing around to the front. 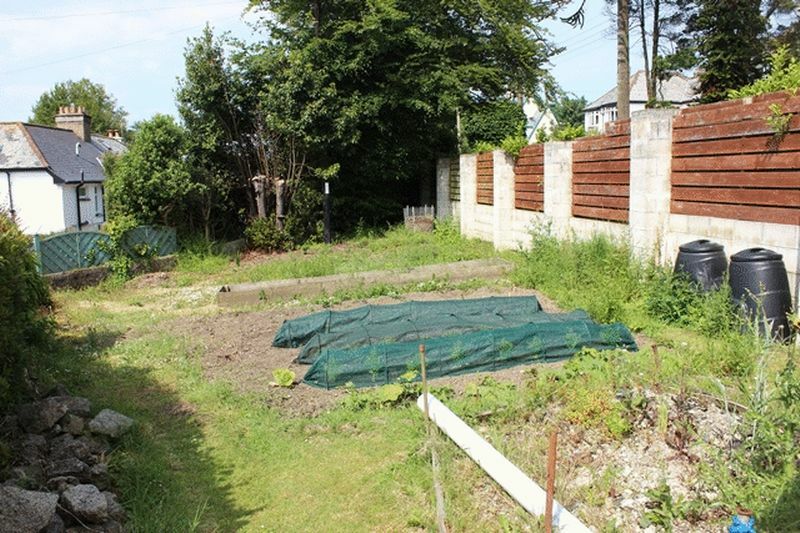 Ramp leads up to a good sized enclosed vegetable plot which could also form more of the garden if required with stone walling and timber fencing to boundaries.